The Brooks Team Pro Chrome is designed for the sporting cyclists in mind. 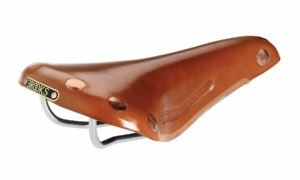 The Team Professional is a classic Brooks saddle created with the needs of the sporting cyclist in mind. This model has been in production for half a century, originating from the old B17 Competition. 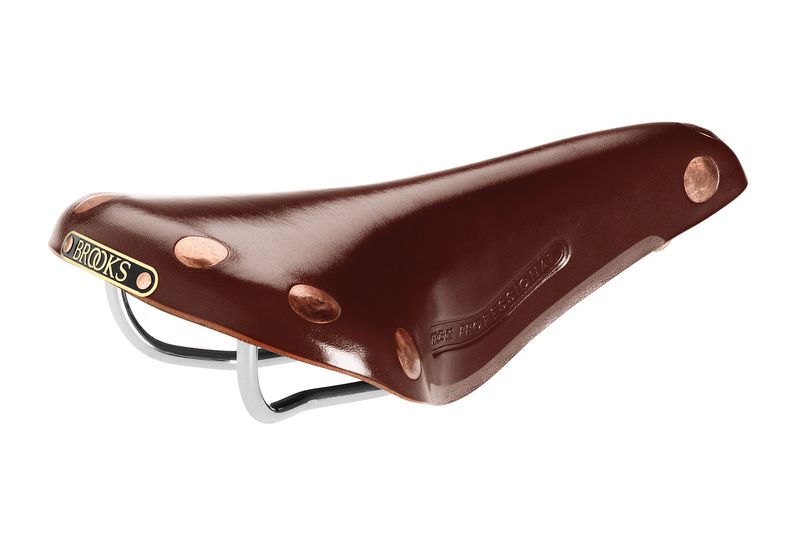 This saddle is a pleasingly simple design, which truly deserves the description ‘timeless classic’. The title Team Professional is embossed on either side just above a precisely hand skived stripe along the side edges, where a little of the glossy leather top surface is removed to reveal the texture and lighter tone of the suede beneath. Large headed copper rivets are hammered by hand, providing the finishing touch. Prices displayed will have VAT tax added where applicable. Customers located outside of the European Union are not subject to VAT. Payments are only accepted in EUR € currency. All products are generally in stock with orders completed within 4-6 business days. If products require longer delivery times it will be indicated in the order and is based on the information provided to us by our suppliers. Shipping times do not include possible delays due to customs. Every shipment is fully covered by insurance (free of charge) against lost or damaged items. A tracking number will be provided with each shipment. All new or NOS (New Old Stock) products must be returned in original packaging, with original labels. Items cannot be worn or used before returning. Any items that are returned without original packaging or labels, or not in original condition will not be accepted. If you are not satisfied with the item you have purchased, you can return it for a complete refund within 7 days of delivery. Shipping costs are non-refundable and will be deducted from the total refund. Please contact us before returning an item for further instructions.